It’s always nice to pickup an old client based on the quality of our previous work. We first took over management and further developed Annette Stock’s original website around 10 years ago when her previous web developer simply wasn’t working out (back in the old ‘ThisIsMe Web Solutions’ days). An opportune meeting and chat at a Rotorua business event led to a brand new Go Robot web development for Annette’s business. 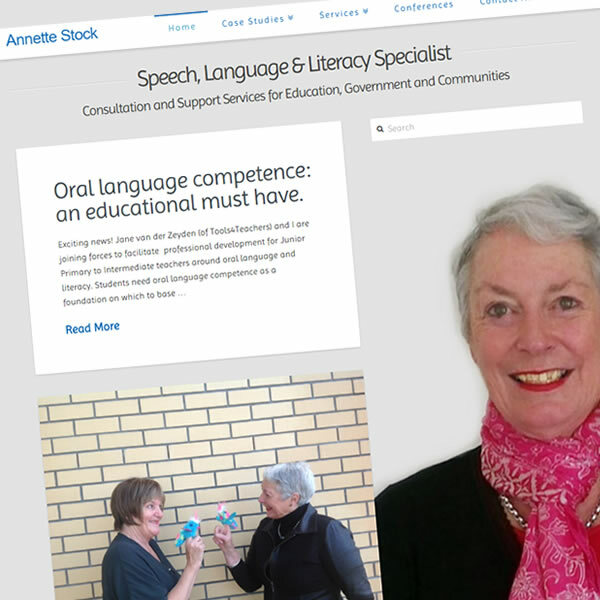 Annette is an innovative and very progressive Speech Language Therapist who has left her mark on numerous key projects all over New Zealand. Make sure you visit the website or pop on through to our portfolio page for an overview of how we tackled this awesome project.